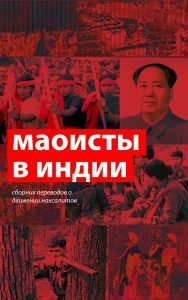 The Russian Maoist Party extends its warm fraternal greetings to the MIM and RAIL comrades at Santa Barbara and wants to congratulate you this February 23, 2001, on two dates, one connected with North America and the other with Russia, but both extremely important to all true communists worldwide. The first is, of course, the anniversary of W.E.B. Du Bois – one of the most prominent Black leaders in u.$. history, a political thinker of no small caliber, educator, Pan-Africanist, a leading figure in the Communist Party-USA at the time it was still on the proletarian road and, last but not least, a prolific and gifted writer. In many aspects of his political thought, he was the precursor of the current line of MIM (and RAIL) on the so-called “proletariat” in the imperialist countries – a line we of the RMP fully share and believe to be the only truly revolutionary one in contemporary “leftist” politics. 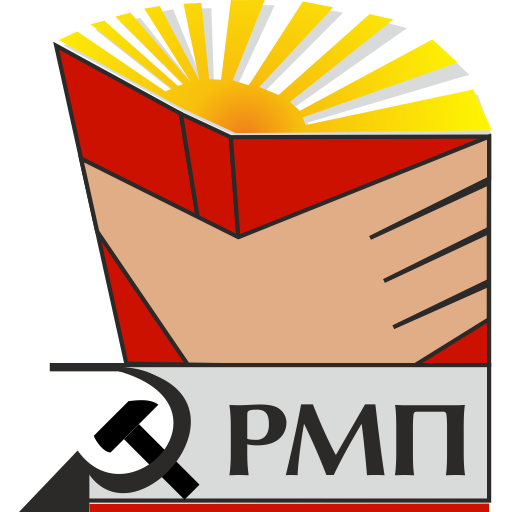 That is why we were among the first to become signatories of MIM’s Du Bois anniversary statement, a text seeking to reorganize the international Communist movement along genuinely scientific Marxist lines. Du Bois’ name and work were extremely popular in the Soviet Union, especially in the Stalin times, and are still fondly remembered by Communists in the ex-USSR. Many of his works, especially his brilliant autobiography, were extensively published here, both in the original and in Russian translation, and formed an essential part of the curriculum of college and university courses in American literature. If one were asked about three figures most readily identifiable in the mind of Communists and anti-imperialists here with the North American revolutionary tradition, one would name John Reed, Albert Rhys Williams and, of course, W.E.B. Du Bois. As Lenin correctly remarked, “ any revolution is worth something only in case it can defend itself. ” The Red Army was the first proletarian army in the world. It committed many heroic deeds, chased out the White Guards and their numerous foreign allies in the Civil War of 1918–1921, smashed fascism, defended the Soviet Union’s national independence and brought liberation to the Eastern European peoples in the Second World War. It became the model for all the subsequent revolutionary armies, including Mao’s People’s Liberation Army. The secret of the invincibility of the Red Army lay in its extremely close ties to the people (in the 1930s, it was considered a shame for any Soviet man not to have served in the Army, which was at that time formed on a voluntary basis) and in its being firmly led by the Communist Party, the exponent of Marxism-Leninism. All of this was reversed by the Khrushchev revisionist régime and its successors. Nikita Khrushchev went as far as to use regular troops to drown in blood a perfectly legitimate workers’ demonstration in Novocherkassk in 1962. The Soviet Army became a typical imperialist army of aggression, as exemplified by the cases of Czechoslovakia, Afghanistan, etc. The current fascist army of the Putin regime, committing genocide in Chechnya and so authoritarian in the relations between officers and men (and among the men themselves) that it is often a danger to a persyn’s health and even life to go serve in that army, is a direct successor of the late Soviet armed forces. Our current stand for Russia is (exactly like MIM’s and RAIL’s for Amerika) strongly anti-militarist. We oppose the draft, we oppose the recent attempts at military buildup, we strongly come out against the war in Chechnya, we want to do our best to weaken and demoralize the Russian army. This distinguishes us from most post-Soviet “Communists,” who campaign to “support the Army and the Navy” and wax nostalgic about the times of the military might of Brezhnev’s USSR. What we need is not the current, bourgeois, army – a tool for suppressing the masses. What we need is our own, proletarian, army – a tool of the masses for their self-liberation. And when such an army is built in the ex-USSR, it will be certainly modeled upon the Red Army of Lenin and Stalin, the PLA of Mao and other revolutionary examples. We are also certain that the day will come when a People’s Liberation Army, fighting for the interests of the international proletariat, will arise in North America. And we believe that you, comrades, with your propaganda of the correct ideological line, are paving the way for it. All the best to you in your revolutionary work!